Annual Reports in Puerto Rico are due on April 17th this year. Corporations that were formed the previous year must file an annual report or an extension by that date, or face sizeable penalties. Even if the entity was formed as late as December 31st, 2016 it will owe an annual report for 2016 on April 17th of 2017. LLCs are required to submit minimal information and the annual fee by this date. The fee for filing an annual report is $150. A corporation that misses the April 17th deadline has to pay a $750 penalty. An LLC that misses the deadline must pay a $500 penalty, plus an additional 1.5% for each month that has passed since the filing deadline. If needed, a corporation can file an extension, rather than an annual report, by paying the annual report fee in full, but not submitting the completed report. This will extend the filing deadline till June 16th (July 16th if an additional extension is filed). If your corporation has been delinquent in past years, please note that this is the year to submit those past due filings! Corporations that have not filed annual reports for two subsequent years are receiving letters from the Puerto Rico Department of State that their entities will be revoked if they do not become compliant within 60 days of the letter. These letters are also posted on the entity’s record on the Puerto Rico website. The Department of State has also posted another Spanish only letter to their webpage that indicates that late fees for these past due annual reports will be waived if the corporation becomes compliant by April 17, 2017. Puerto Rico does not send out any notification that the annual report is coming due. Corporations and limited liability companies need to track this requirement and ensure they file on time. In the last year, Puerto Rico has greatly expanded the ability to file a number of documents electronically and has an easy to use online system for filing annual reports. The system will reflect the filing immediately and using it will help you to avoid delays often experienced when submitting paper filings. Do not be disconcerted by the Spanish only home page! The pages for filing the annual reports can be viewed in English by clicking the American flag in the upper right-hand corner, giving you access to instructions and information in English. To file an annual report online, you must be authorized as either an employee/owner of the corporation or as a certified public accountant, attorney or paralegal. e. Financial Statement: Every corporation must present a financial statement for the corporation. If the volume of business is under three million dollars, the statement must be prepared in accordance with GAAP. If the corporation’s volume of business is over three million dollars, then the statement must be audited by a certified public accountant licensed to practice in Puerto Rico. Puerto Rico will accept the current year’s annual report, even if previous annual reports are past due. To ensure that you are in compliance and that Puerto Rico’s online system reflects that all annual reports or annual fees due have been filed for your entity, run a search on the company name. The tab “annual filings” will display the annual reports filed or fees paid for the company. (Note that for LLCs, the phrase “annual due” appears. This does not mean that the annual fee is due, but that the annual dues have been paid.) If there are past due annual reports from previous years, these will need to be submitted using a paper filing. 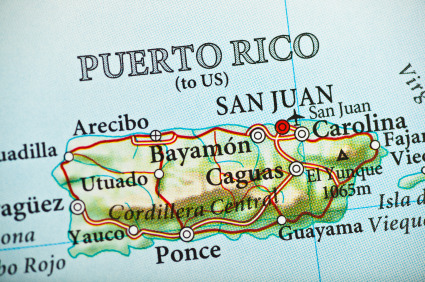 Puerto Rico’s online system has greatly expanded and improved over the past year and, if you follow the tips above, it is likely you will have no difficulties filing your annual report in a timely way and avoiding a sizeable monetary penalty.